Posted on February 29, 2016 at 12:27 am. Many keno players may not realise when you play online you can opt in for the welcome bonus and clear it as cash as quickly as you can on the pokies. Therefore, today we take a look at the latest welcome bonuses for March 2016 at our favourite keno sites and how you can easily clear them by playing the variety of keno titles on offer. G’day online casino offer an unlimited welcome bonus meaning you can deposit as much, or as little, as you like on your first deposit and have it matched by 100%. Wagering requirements see the bonus having to be played through 35x for it to be released as real cash. For example, on your first deposit if you fund your account with $100, you will be given $100 free and this will have to be wagered 35x before released as real cash. Since keno players can contribute 100% to the wagering requirements, as pokies players can too, you can play your favourite games to clear the bonus including Keno, Instant Keno Classic, Klub Keno, Krazy Keno, and Traditional Keno. Players receive $3 free just for opening an account at Emu Casino, but you need to play it through 40x before releasing it as cash, which you can do so on keno. There is a 40x wagering requirement on each bonus which can be cleared 100% by playing Jackpot Keno, Keno, Video Keno, Kenotronic, Keno Kick Off, Keno Lab, and Keno. 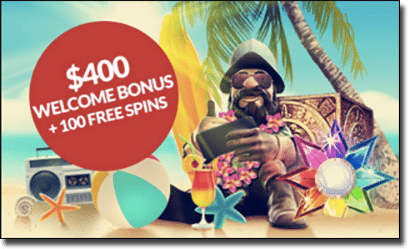 Guts Casino offers up to $400 matched for new players, as well as free spins for those who want to take a break from picking their spots. Guts.com has a 35x wagering requirement on each bonus which can be cleared by playing Keno or Bonus Keno. Additionally, there are no wagering requirements attached to any winnings from the free spins. All Slots offers the biggest fixed welcome packaged of up to $1600 in matched deposits. All Slots has a 30x play-through requirement on each bonus, which you can clear on Microgaming’s popular keno title. As you can see there’s plenty on offer for new keno players, so if you’re keen to sign up now click the links to register your details and opt in for your preferred welcome bonus.